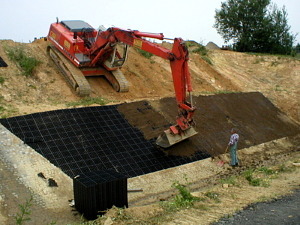 EcoGrid is the ideal product for all aspects of landscape construction. 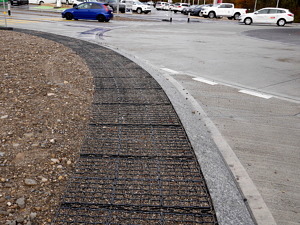 ECOGRID® meets all the requirements of an environmentally compatible ground reinforcement system, without sealing the soil. The recycled and durable tiles made of pure polyethylene are also absolutely environmentally neutral. With an area of 1.33 m² per module and a low net weight, laying couldn’t be easier. If necessary, several thousand square metres of ground reinforcement can be laid in just one day. As soon as the patented connection system clicks into place, a single uninterrupted flat surface is created – piece by piece. 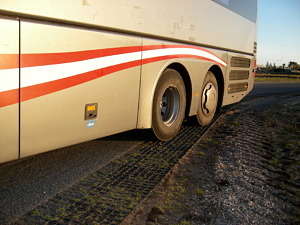 The load spreading design reliably prevents the edges of individual tiles from protruding and prevents hollows or even subsidence from occurring. 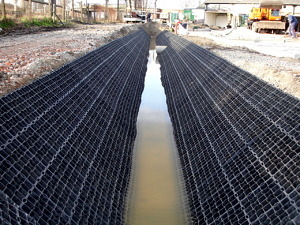 Providing a permeable surface to assist in ground water absorption, thus decreasing water runoff. 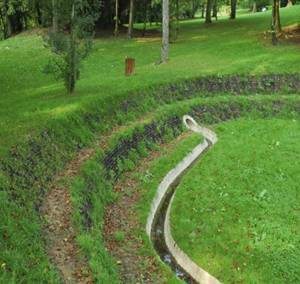 In its prevention of erosion, EcoGrid provides stability and safety, while improving an area’s aesthetics and reducing maintenance cost.